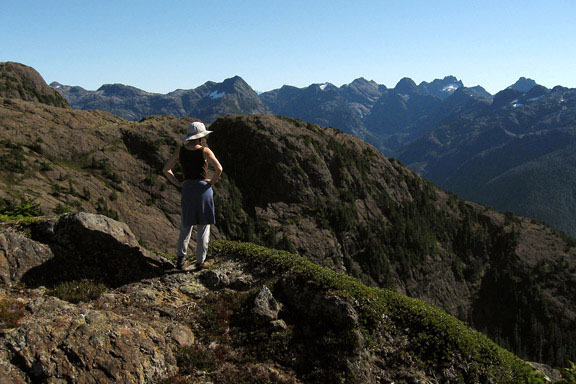 Hikers are exploring the pristine trails and discovering dramatic vistas in Tahsis, including the famous Nootka Trail. Below are a number of trails you can explore when you stay with us at Anchor Guest House. A short loop wanders along a scenic stretch of the Leiner River. 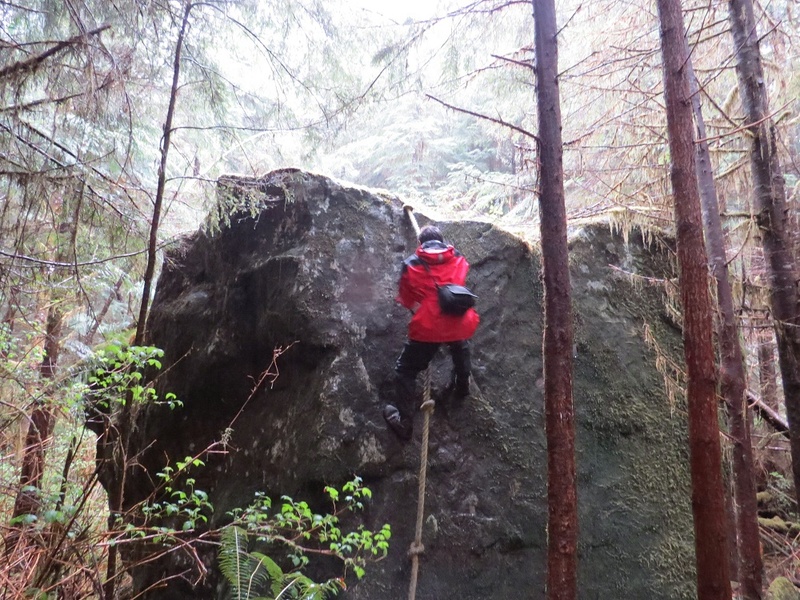 Rock climbers can practice their skills on the house-sized boulders found on the slopes of the valley. 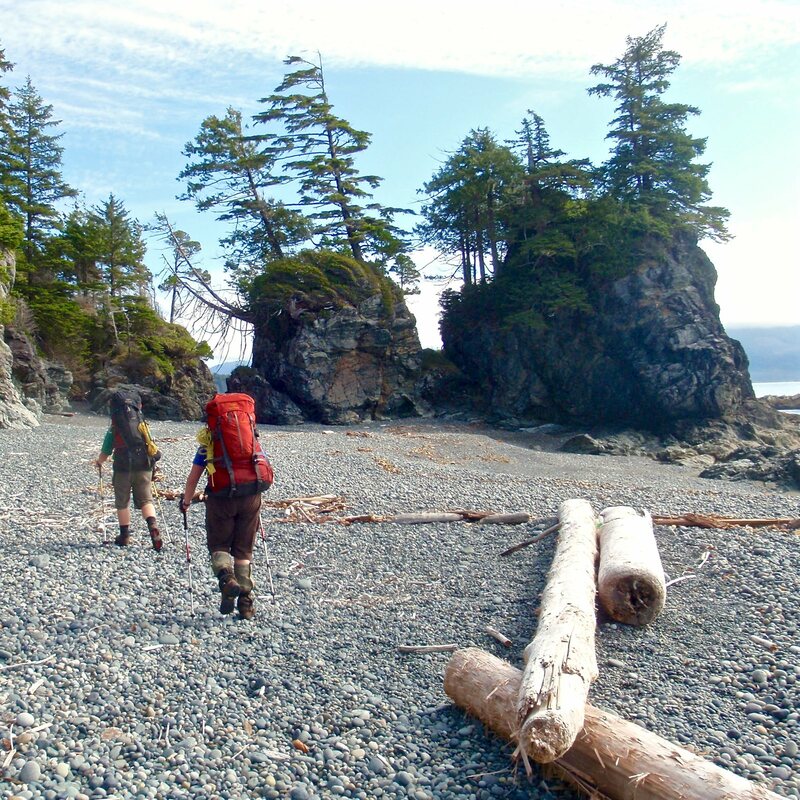 Accessable by water taxi or float plane, the trail hugs the west coast of Nootka Island. It is not uncommon to see whales, includeding Greys, Humpbacks and Orcas; bears, cougars, elk and wolves. Old First Nations sites are found along the shores. 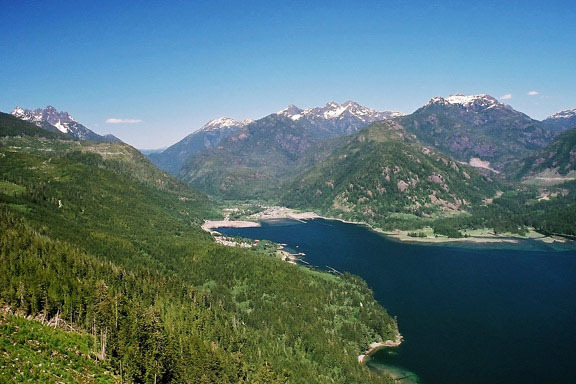 Either desitnation is about 3 to 4 hours for an experienced hiker and each spot offers a dramatic view of the Tahsis Inlet. Access is from the West Bay Park. A rugged route, immortalized in the book White Slaces of the Nootka. The trails follows the ridge between the Leiner and Tahsis River balleys, east of the village. 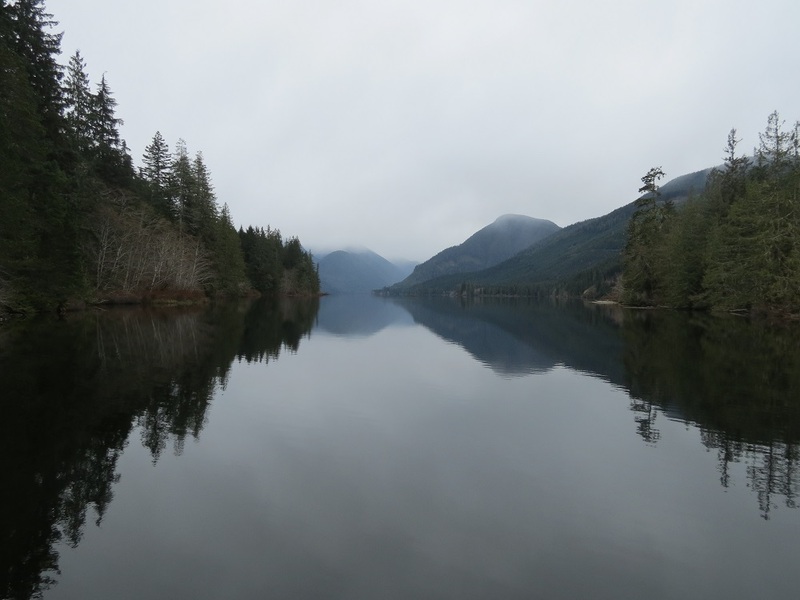 This ancient trade route was used by the First Nations and crosses Vancouver Island. This trail is not maintained as a marked route but can still be accessed at the north end of the Tahsis Dump.